T-O Engineers’ mission is to provide quality, responsive, and trusted solutions to our clients while enhancing the communities in which we live and work. T-O Engineers is a full service civil engineering firm. We value hard work and dedication as well as the personal lives of our employees and their families. We have been in business for over 40 years, employ more than 130 professionals with offices in Meridian, Boise, Nampa, and Coeur d’Alene, Idaho as well as Spokane, Washington, Cody, Wyoming and Heber City, Utah. We are large enough to provide opportunities for our employees, but small enough to feel like a team. We believe in providing our employees with a successful career path they can be proud of while supporting a healthy work/life balance. We are a company that believes in providing our clients with innovative solutions delivered with a focus on integrity and responsiveness from start to finish. We succeed when our Client’s succeed! Think our company is a great fit for you? Please select from our current Job Openings listed below to submit your resume. We believe in the power of self-reliant people working collaboratively to achieve success. We believe in providing our people with all the resources they need to excel at work, foster strong commitment to our company, and maintain work-life integration. We invest in our people and provide opportunities for growth while having fun. We do the right thing. For over 30 years T-O Engineers has been committed to providing a quality and trusted service for our clients. We face challenges head-on with a spirit of helpfulness and collaboration that allows us to produce the highest quality work. We believe that while we serve others, we enhance the communities in which we live and work. We have great clients. Through open and honest communication and providing quality products, our relationships with our clients are strong. We serve our clients with dedication because we realize our success depends on long-term relationships. Our cornerstones of leadership, family, diversification, and financial success form a foundation that is unbreakable and will get us through even the toughest challenges. Our core values are “Our People, Our Clients, Our Distinction and Our Foundation”. Our People being in the top tier means our people are our number one priority. We believe in providing our people with all the resources they need to excel at work, foster strong commitment to our company, and maintain work-life integration. We invest in our people and provide opportunities for growth while having fun. T-O Engineers is not your average engineering firm – we live by the motto “work hard, play harder”. 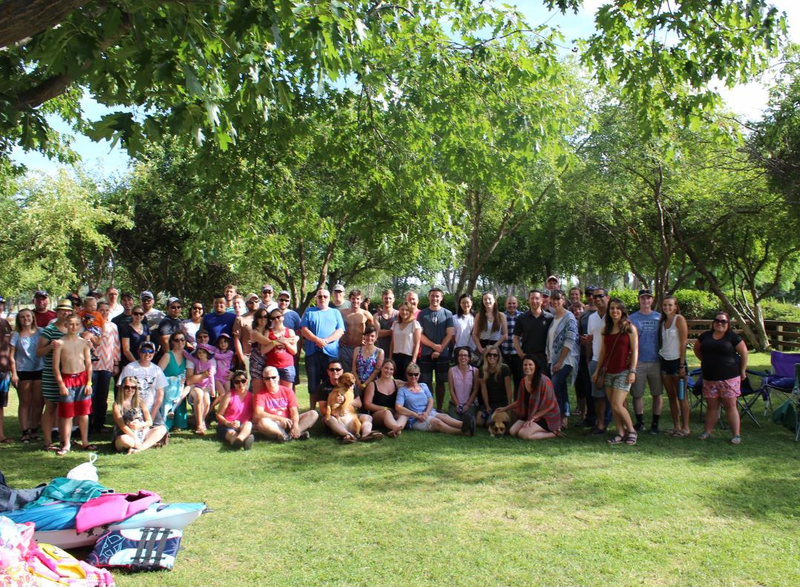 T-O understands employees have important lives and families outside of the office – and we encourage employees to spend time away from the office. We also create reasons to want to come to work through challenging projects, engaging all staff, and providing staff opportunities for professional and personal development. We believe in providing our employees with a successful career path they can be proud of. With opportunities for advancement at every level we make sure that our employees are given the skills and training they need along with the trust and respect that they deserve. Did we mention we like to have fun? From our annual Oktoberfest, Engineers Week Celebration and Holiday parties – we ensure all our employees enjoy their time here. At the end of the day we are a family working together to create successful results while having a good time. Full-time employees will be compensated for all company observed holidays. All full-time employees receive annual and personal leave. Personal leave is 40 hours annually and annual leave is earned as it accrues each pay period according to the table below. We encourage our employees to aggressively pursue educational opportunities that will enhance their career and job performance. We encourage it so much we reimburse our employees for enrollment, tuition and book costs. I mean who doesn’t love 4 hour Fridays? At T-O, we strive to be an active and influential part of all the communities in which we live and work. 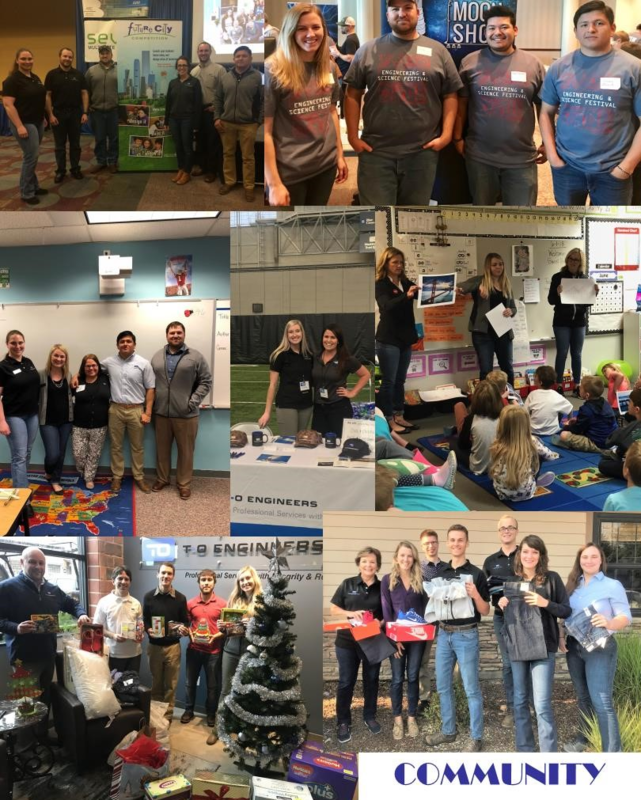 Not only do we volunteer as a group, but we host STEM nights at local schools, participate in book fundraisers and clothing drives just to name a few! We understand the importance of getting involved in the community and provide opportunities to do so often! Our employees show up and do an incredible job every day. They also love to spend time with their families and friends and we support a healthy work/life balance. 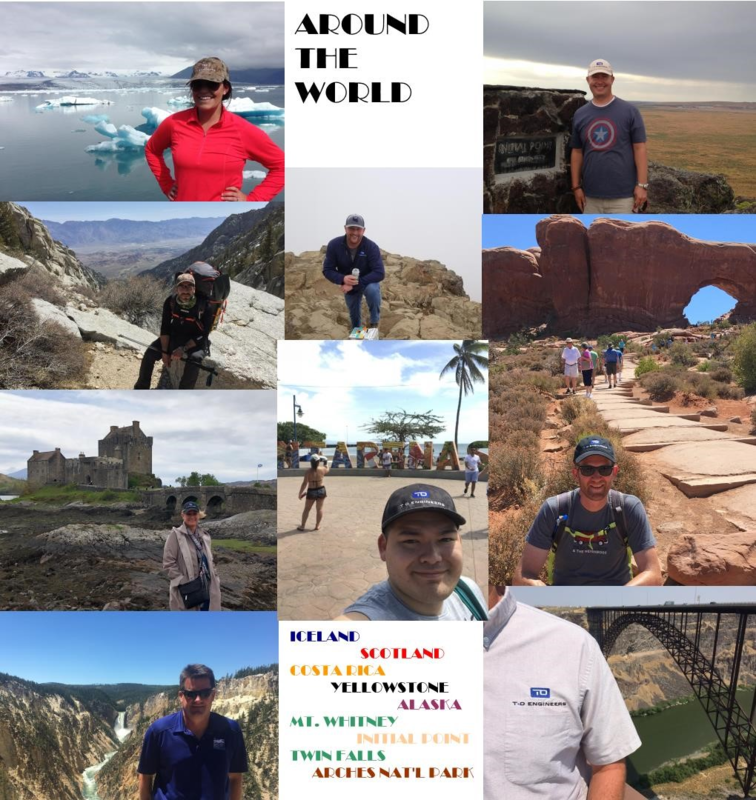 Here are a few photos of our crew as they enjoy time away from the office!